By Dees Stribling on March 27, 2015. Northern New Jersey's real estate outlook is mixed: more boom for multifamily, strength in industrial, some uncertainty in retail, and an office market that's not especially strong. That was the rundown from experts at our 4th Annual Northern New Jersey State of the Market event this week. New Jersey has a number of advantages when it comes to growing its real estate market, our speakers explained. One is proximity to New York. The city's always been there, of course, but hasn't always been shedding companies and workers the way it seems to be now. Businesses are looking for lower taxes and operating costs, and employees want lower rents. But that's not all NJ has going for it: it's more actively trying to encourage businesses to come, and many municipalities are reinventing their urban cores to make them more appealing to Millennials. 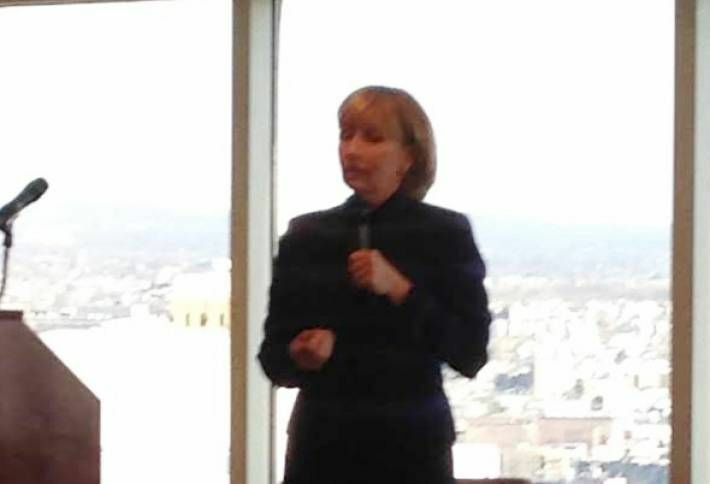 Lt Gov Kim Guadagno, our keynote speaker, emphasized that commercial real estate has a future in New Jersey—something few people believed when she took office five years ago. Companies are interested in locating in New Jersey again, including some from across the Hudson, in part because of the three-pronged effort of the privately funded Partnership for Action: customer service (cutting through red tape), the Bank of New Jersey (incentives) and marketing the state. 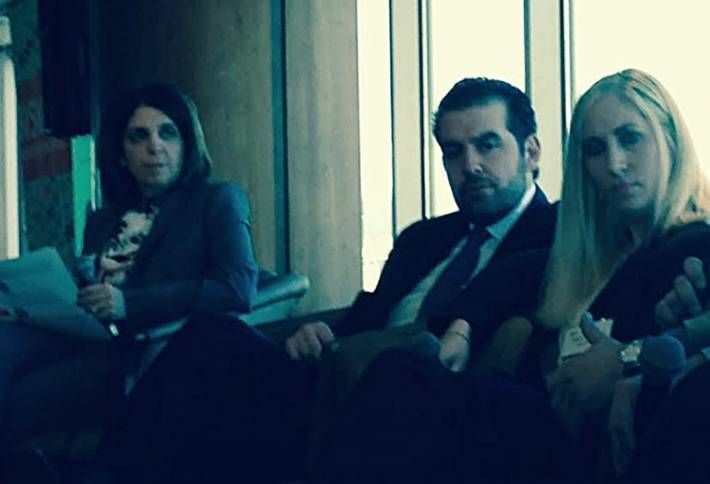 Snapped: Genova Burns partner Jennifer Mazawey, who moderated, KRE Group president Jonathan Kushner and Tantleff Realty founding principal Debra Tantleff. In multifamily, developers aren't worried about filling apartments, especially in hot locations such as Jersey City, Harrison and East Rutherford. Even towns further away from the Gold Coast are beginning to think apartment isn't a dirty word; the NIMBY reaction is disappearing. Just in time, too, since the demand for apartments—from luxury units to workforce housing—is still rising. The KABR Group managing member Adam Altman, HFF senior managing director Jose Cruz and BNE Real Estate Group EVP Jonathan Schwartz. 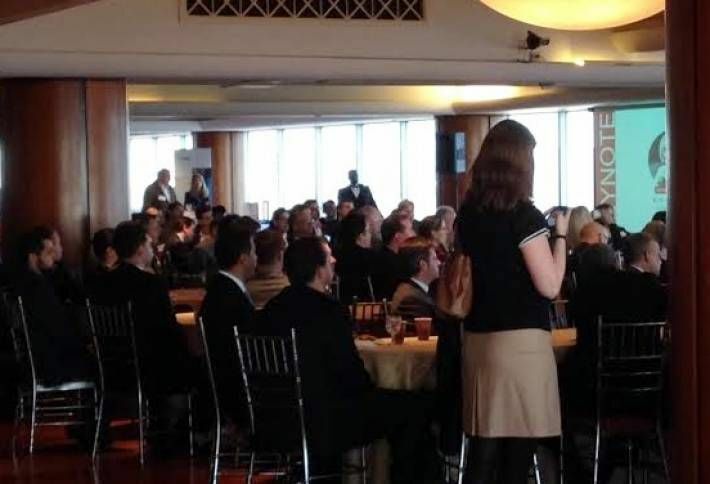 Another trend in NJ multifamily development, our speakers note, is the changing nature of properties. Residents are willing, for instance, to accept smaller living spaces as long as common amenities are better. Some of the developers on the panel report putting in—or hearing about—such amenities as on-site pet spas and golf simulators. "Tenants want a more robust experience," one speaker said. 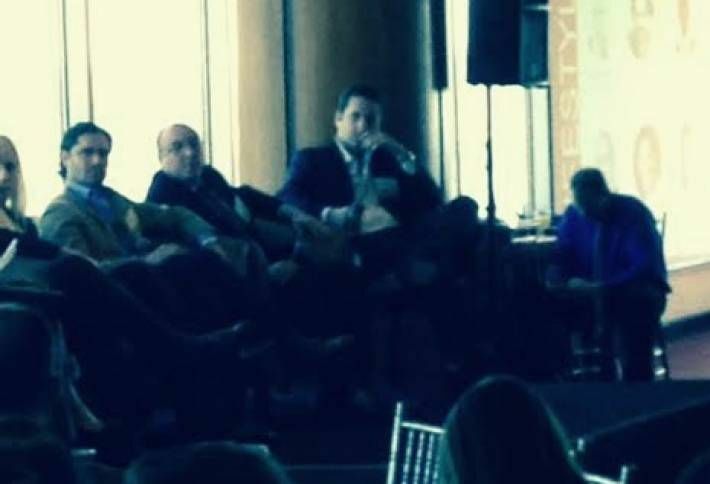 Moderator Wolff Samson member James Rhatican, Onyx Equities managing principal Jonathan Schultz, Advance Realty COO Kurt Padavano and CompStak CEO Michael Mandel. In the NJ office sector, speakers said, rents have been flat in recent years, which is making it tough to plan anything new. There are some exceptions, however. Office space in downtowns and other urbanized areas, such as in Newark and Morristown, have been performing better than average. Still, there isn't enough organic tenant growth to sustain much office leasing or development growth.
! 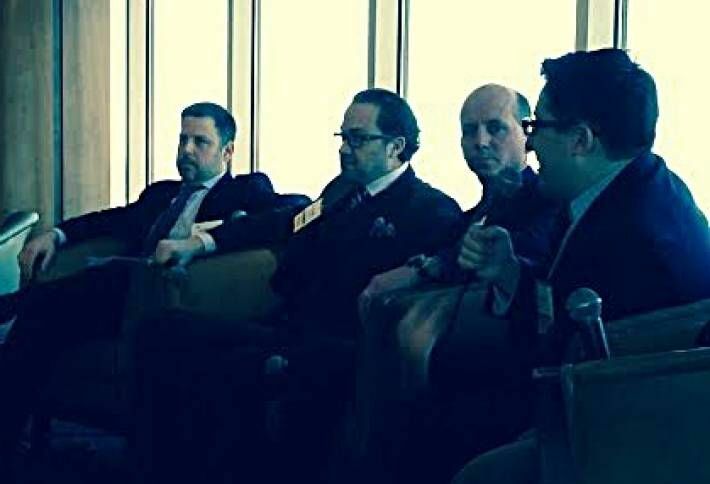 [image](Moderator Wolff Samson member James Rhatican, Onyx Equities managing principal Jonathan Schultz, Advance Realty COO Kurt Padavano and CompStak CEO Michael Mandel. In the NJ office sector, speakers said, rents have been flat in recent years, which is making it tough to plan anything new. There are some exceptions, however. Office space in downtowns and other urbanized areas, such as in Newark and Morristown, have been performing better than average. Still, there isn't enough organic tenant growth to sustain much office leasing or development growth. Michael and CBRE SVP Tom Sullivan, who directs the company's life science group. The life sciences sector is another exception to the office leasing doldrums in Northern New Jersey. Small to midsized companies are driving leasing, and there's a good base of companies to keep that velocity going. On the industrial side, New Jersey has one of the stronger markets in the country. Industrial space is in demand, and leasing and rents are up in nearly every market in Northern New Jersey.